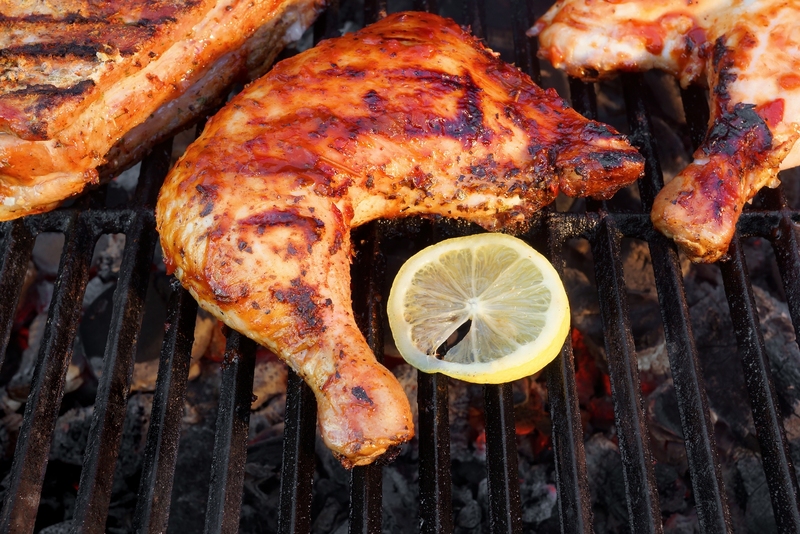 Barbecued chicken has always been a backyard barbecue favorite! Try it with this amazing bourbon-bacon sauce for a new and taty twist on a barbecue classic. In a medium saucepan over medium heat, cook the bacon until crisp, about 10 minutes, stirring occasionally. Reduce the heat to low, add the onion and garlic, and cook until soft, about 5 minutes. Add the remaining sauce ingredients and simmer for about 5 minutes. Remove from the heat and let cool. This should yield about 2 cups of sauce. Place the chicken in a large, resealable plastic bag and pour in 1 cup of the cooled sauce. Press the air out of the bag and seal tightly. Turn the bag to coat the chicken evenly with the sauce. Refrigerate for at least 8 hours or up to 24 hours. Allowing the sauce cling to the chicken, remove it from the bag and discard the sauce in the bag. Drain the water from the wood chips and add them to the charcoal or to the smoker box of a gas grill, following manufacturer’s instructions, and close the lid. When the wood begins to smoke, cook the chicken legs, skin side down first, over indirect medium heat, with the lid closed, for 25 to 30 minutes. Then brush both sides with a thin layer of the sauce and continue cooking until the juices run clear and the meat is no longer pink at the bone, 25 to 30 minutes more, occasionally turning and brushing with the sauce. 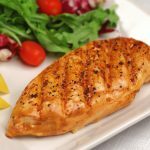 Remove from the grill and let rest for 3 to 5 minutes. Serve warm with the remaining sauce on the side.